This morning’s topic is not wishing your life away, even when you are quitting alcohol. 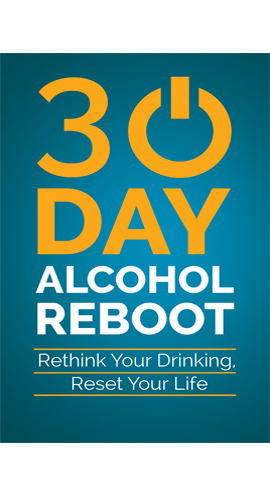 Too often when quitting alcohol, people say that they can’t wait until the cravings have gone and they get to a time when they don’t have to think about alcohol any more. I think it is a natural response, when we are uncomfortable we all have a capacity of thinking, ‘Jesus, I wish it wasn’t here anymore’ We wish we could just get away from it and often, this line of thinking eventually leads people back to alcohol. They get the thought and then they start worrying at the thought, and then think wouldn’t it be nice not have to do this and not to have to feel uncomfortable. They get the idea that they can’t stand doing this any longer, they can’t stand the discomfort and the cravings, they can’t stand not being able to sleep for a few nights and this basically leads people to worrying their minds, going over it and going over it and going over it again, until they talk themselves into taking a drink again, because they know if they take a drink again, everything will go back to the way it used to be. It is dangerous to think that way. Instead, I think that you can push yourself back into a position where you are happy, despite your cravings and the discomfort that you’re feeling. I think you can push yourself back into a position where you’re happy despite what’s going on around you and that you can feel a certain amount of contentment just in knowing that things are changing, that things are gradually improving and the position that you are in at that moment in time, is the worst that it will ever be. I think most of the time, it’s the person who creates the nightmare in their own heads. But it doesn’t have to be that way, you can enjoy life, life is too short not too. Look at it from the perspective of everything’s going to get better and improve from here on in. 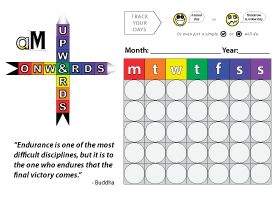 You’re going to get up every day and think what one thing can I do today, that’s going to improve my lot in life. What one thing can I do today, that will take me further away from alcohol and further towards the goal that I want to achieve in life, the passion that I want to get from this life. Look away from your alcohol past, and towards your new, bright, magnificent future. So don’t look at these things as though you are giving something up. You’re not giving alcohol up, you’re letting alcohol go from your life and because of that you’re changing the face of your life, you’re changing the face of your habits and behaviours. It’s a slow process, but it will happen. 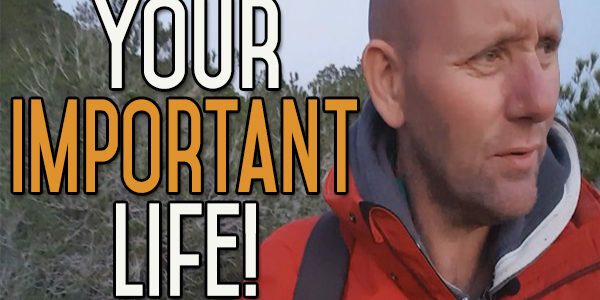 Life is short, 27000 days on average, so it behoves us all to try and get the most out of every day and every day that you spend, putting yourself in misery, thinking yourself into misery instead of trying to push yourself into a happier state, the better off you’re going to be. If you have any questions about this at all, give us a shout over on the website or down below if you’re watching this on YouTube. 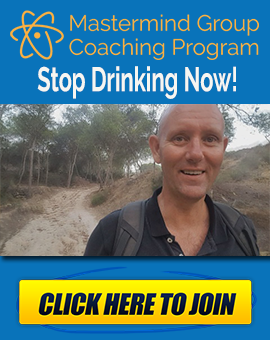 Sign up for the newsletter, if you want to get daily emails into your inbox with inspirational videos, tips, and tricks to quit drinking alcohol and for after you have quitted drinking alcohol. It’s absolutely free and you will get an email every day, for as long as you want them, as soon as you don’t want them, let me know and I’ll turn off the daily emails and send you the weekly ones instead. How Do You Know What to Do after Quitting Drinking? Hi Kevin, can you check the Subscribe URL address for Apple devices please, I get an error “Cannot Open Page. Safari cannot open the page because the address is invalid”. 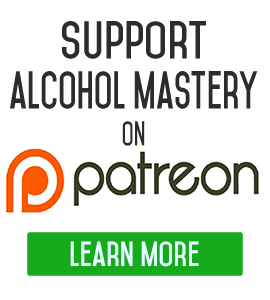 I have got the podcasts now though by Googling the search phrase, “iOS podcast for alcohol mastery.” It’s awesome what you’re doing. Your daily vids hush the barking dogs I have when the cravings come. Many thanks.